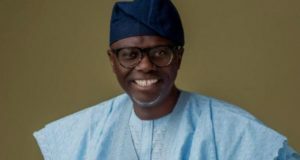 Scores of supporters of Segun Adewale, a chieftain of the Peoples Democratic Party (PDP) in Lagos State, on Tuesday staged a protest at the party’s secretariat, asking Dr Adegbola Dominic, to stop parading himself as the Chairman of the party in the state. The protesters numbering about 50, carried placards with various inscriptions declaring their support for Adewale as the chairman. Some of the inscriptions on the placards include “Adewale is our real Chairman’’, ”Adewale is the man to free PDP in Lagos ” and ” Dominic, you are on your own”. The party has been having issues bothering on who the authentic chairman is. Both Dominic, an ally of a former Deputy National Chairman of the party, Chief Olabode George and Adewale, popularly known as Aeroland, had addressed party faithful at different times at the secretariat, each affirming himself as the authentic chairman of the party in the state. Mr Ezekiel Oriyomi, who spoke on behalf of the pro-Adewale protesters, however, said Dominic could no longer claim to be chairman of the party as his tenure had lapsed. He said they and other members of the party only recognised Adewale as the authentic chairman of the party, saying any other person making the claim was an impostor. “We, members of PDP in Lagos State are solidly behind Adewale, the authentic chairman of the PDP in Lagos State, any other person claiming to be chairman is an impostor. “We are asking Dominic to stop parading himself as Chairman. He was appointed as interim Chairman in December 2018, as interim Chairman for 90 days and so his tenure has expired because we are now in April. “His tenure was characterised by crises and electoral misfortunes for the PDP in the state. We cannot continue like this in Lagos PDP. “Adewale was not sacked but only stepped aside and the expiration of Dominic’s tenure means Aeroland is our substantive chairman. “Adewale is the only one we recognise and he is the only one we believe that can change the fortunes of the PDP in Lagos for the better,” he said. Oriyomi claimed Dominic was only out to serve certain interests in the party, saying members of the party in the state were with Adewale. Adewale, who addressed a cohort of party faithful at the secretariat afterwards, said he remained the authentic Chairman of the party. 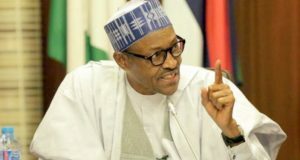 He said he only stepped aside in 2017 following a directive of the national leadership shortly after the Supreme Court affirmed Sen. Ahmed Makarfi as National Chairman. Adewale, who aligned with the Sen. Ali Modu-led national faction, said he only allowed Mr Moshood Salvador, his rival factional Chairman, to take over in the interest of peace. He said Salvador dumped the party to join the All Progressives Congress (APC) in 2018 and he made attempts to step in as Chairman. He claimed that there were appeals from all corners to allow another person from the George/Makarfi group to lead in the interim as the general elections were underway. Adewale said he agreed with the idea and that Dominic emerged as the interim Chairman for three months in December 2018. The party chieftain added that Dominic’s tenure had expired in March and that he could no longer claim to be Chairman of the party in the state. He said he was now the Chairman as he was not sacked by any court and that his mandate would only expire in 2021. “I am the Chairman of the party. Forget about what anyone is saying. You can see the overwhelming support from the members of the party. “The real owners of the party in the state are behind me. Dominic cannot claim to be Chairman. His tenure has lapsed, he should stop parading himself as Chairman because I only stepped aside,” he said. He said the dismal performance of the party in the state in the last governorship elections had shown that Dominic lacked the capacity to move the party forward. 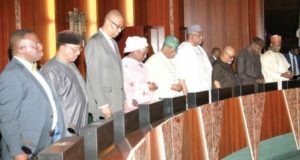 He claimed Dominic with some elders of the party in the confessed not to have supported the governorship candidate, Mr Jimi Agbaje, during the elections. “How can we allow people who don’t have the interest of our party in the state to continue take us for a ride? Enough is enough and we must now have the leadership we deserve,” he said. On the claim by Dr Eddy Olafeso, South West PDP Chairman that the party in the zone only recognised Dominic as Chairman, Adewale said only the national leadership of the party and not zonal leadership could clear the matter. He said Olafeso belonged to the Bode George group and that it was expected that he would be on the side of Dominic. Adewale said he would only relinquish his position as ”Chairman” if the national leadership declared otherwise or a congress was organised to elect a new executive for the party in the state. He denied membership of the Action Democratic Party (ADP), saying his detractors were only ”spreading that lie’ to discredit him. “I am not a member of ADP. Yes, I used the ADP platform in Ekiti for the governorship election, which I lost. “I have since returned to PDP in Lagos. It is normal in politics to be adopted by another party for elections and that was what happened. “Atiku was in the APC and he contested as presidential candidate of PDP after defection. So what are these people talking about? It is all lies to get what does not belong to them,” he said. Adewale added that he achieved so much during his reign as factional chairman and that he would achieve much more this time too. He said Adewale was a member of ADP and that he had not officially returned to the PDP. Dominic also claimed that he was the right chairman and that he was recognised by both the zonal and national leadership of the party.